Both kids watched Lesson 14 in DER. Naim did the questions and reviewed workbook. I decided to start them both in Discoveries in Reading when Naim is finished with this. Aaron is either going to watch it with him or read some books to me while he waits. Did Lessons 7.8 and 7.9 in Calvert Math on probability. Naim sorted word cards for Sylvan, Aaron did 4 pp. Naim read “Tim and Sam” for HOP. This is the final book. We are going to do one more day, and read the book again and call it finished. Sentence School, “Ava works. Ava rests.” talked about subject verb agreement. Aaron read Mat Man on the Go for handwriting and they did sentence school sentences on the white board. 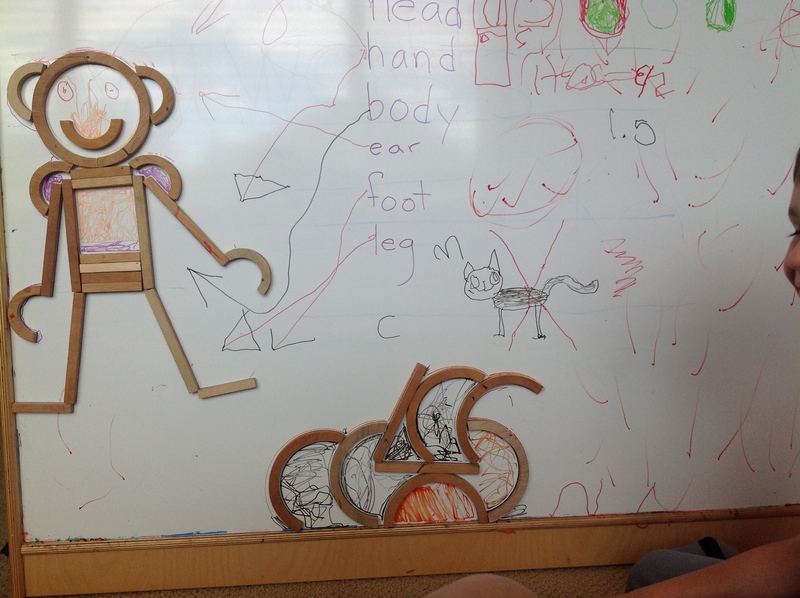 They also drew and labeled Mat Man on the white board and did workbook page. Naim did a bunch of letters and all the numbers practice on the handwriting app I have on the ipad. Need to get him a stylus, though, for better transfer of skills to paper. Watched brainpop about Big Bang, Mars, other stuff. Went through Little Passports stuff about Mexico. Aaron took over the white board after the whole Mat Man activities. Here is the result. Something about Cats and Dogs Revenge.